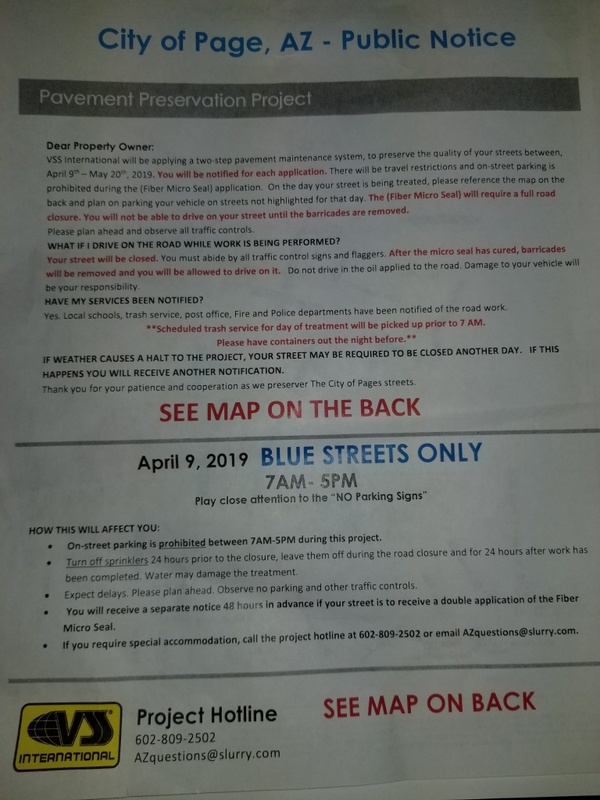 Many Page residents have already received or will soon be seeing notices on their front door from Page Public Works regarding the “Pavement Preservation Project”, aka road repairs on their block—today residents in several blocks around the city are impacted, drivers have been asked not to park their vehicles or drive on those surfaces between the hours of 7am and 5pm. So pay close attention to the No Parking signs before pulling up to a curb. 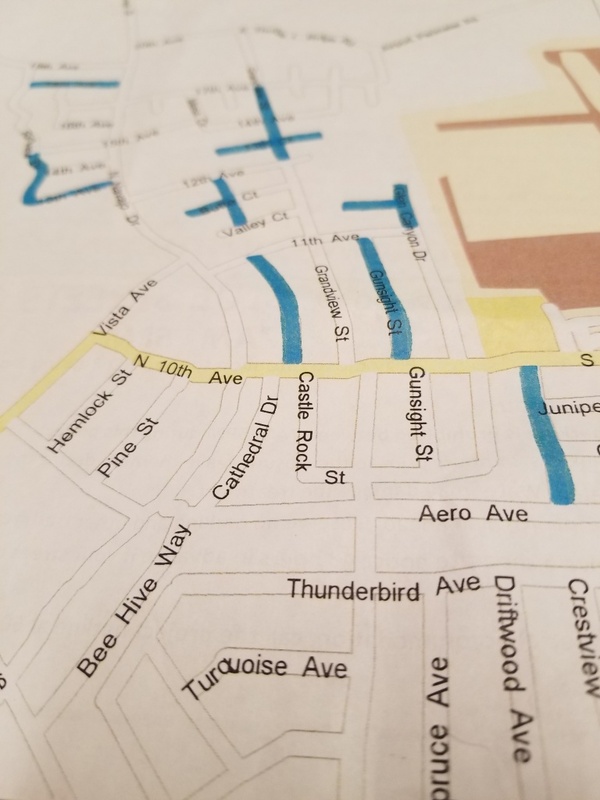 Do NOT drive in the oil applied to the road because you could very well damage your tires and the city doesn’t plan to pay for that if you do. Don’t try driving on your road if it’s still closed, the barricades will be taken down when the micro-seal has cured and it is once again safe to drive on that surface. For more information, you can email azquestions@slurry.com. or visit the Public Works Dept page on the City of Page website.